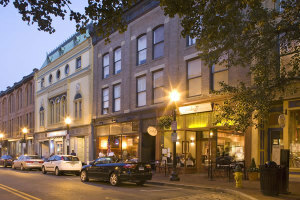 F. D. Rich has added the SONO Pearl to the heart of South Norwalk, CT’s historic district at 101 Washington St. Completed in August 2016, this luxurious 66 unit apartment complex features 154 valet assisted parking spaces and a residents-only roof deck with views of Norwalk Harbor, Long Island Sound and beyond. Within an easy walk of an active waterfront, movies, shopping, dining and the South Norwalk Train Station and more, at the SONO Pearl, the world will always be your oyster. F.D. 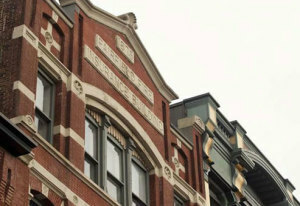 Rich has developed the Summer House apartments on lower Summer St., just north of the Majestic Bowtie Cinema and steps from the excitement of downtown. Another Stamford Landmark at 22 stories, Summer House contains 227 units and features first-class amenities to enhance ones urban lifestyle. This soaring tower was completed in April 2016 and features NYC based restaurant Flinders Lane, which specializes in capturing the essence of Modern Australian cuisine. 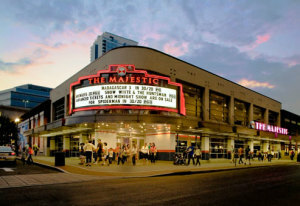 The Bow Tie Majestic Theater is a six-screen, 1,600-seat theater complex located in the heart of downtown Stamford’s retail, restaurant and entertainment district. 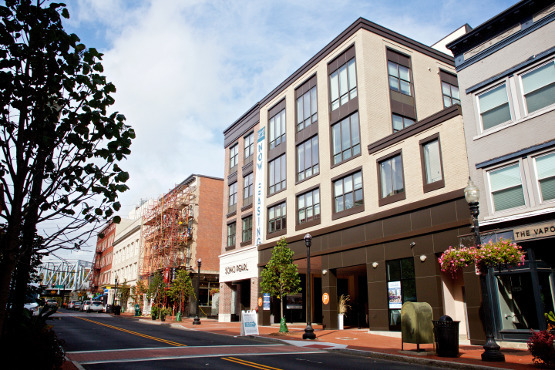 The theater has been in operation since 1997 and draws over 400,000 visitors annually. Adjacent to The Bow Tie Majestic in downtown Stamford, Summer Street offers 20,000 SF of retail, restaurant and entertainment space. 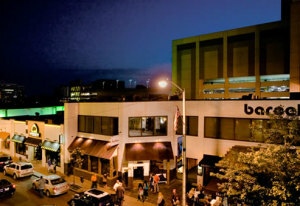 The shops are currently home to Barcelona Restaurant, Bar Taco, & Buffalo Wild Wings. For current retail and restaurant space opportunities, please visit the Available Space page. In 2008, F.D. Rich acquired 100,000 SF of prime office and retail space in the heart of historic South Norwalk, CT along Washington and South Main Streets. The assemblage is within a short walk of the South Norwalk Train Station. The Company is undertaking a development program that includes a hotel and apartment house whose designs will respect the historic character of SONO and maritime culture of the neighborhood, as well as ensure its long-term vitality as a retail, restaurant and entertainment center for Fairfiled County, CT. For office and retail space opportunities in SONO, please visit the Available Space page.